The name "Burnt Ends" is a shout out to smoking terminology. Burnt ends are a Kansas City specialty that are made from the tips of smoked brisket where the juices have concentrated and pack a ton of flavor. Speculation is that the filler is comprised of some fire-cured tobacco. But it's just that - speculation that's not been confirmed or denied by the boys at Ezra Zion. The thick, butcher-style paper band adorning the Burnt Ends looks like it would be equally happy wrapping up my porter house as Ron from my local butcher shop packs it up. The band is simple and fits the character of the cigar. 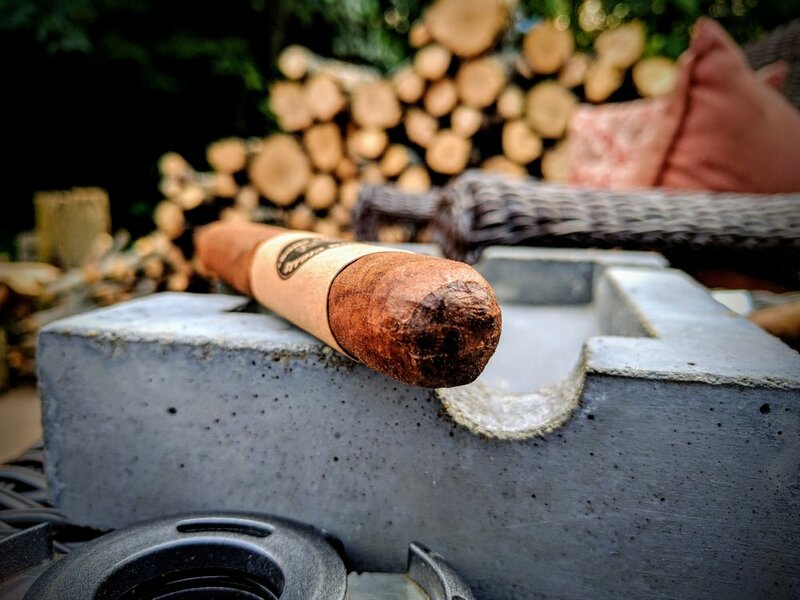 Burnt Ends is a rustic looking stick and the no-frills band is perfectly sized and suited to it. it effectively conveys the theme of the stick (cows, brisket, etc), calls out the brand (good job EZ) and throws a nod to their home state (TX). All in all, nicely done band. The wrapper is handsomely ugly. It's a mottled smattering of brown, tan and black that looks like it could be vintage leather. 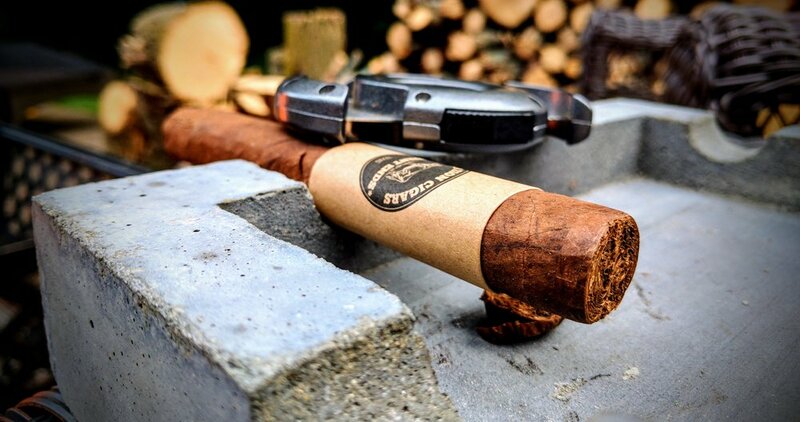 The Burnt Ends has a distinctly rustic and archaic look that feels perfect for the cigar. There is a broken seam that has started to raise just below the bottom edge of the band. 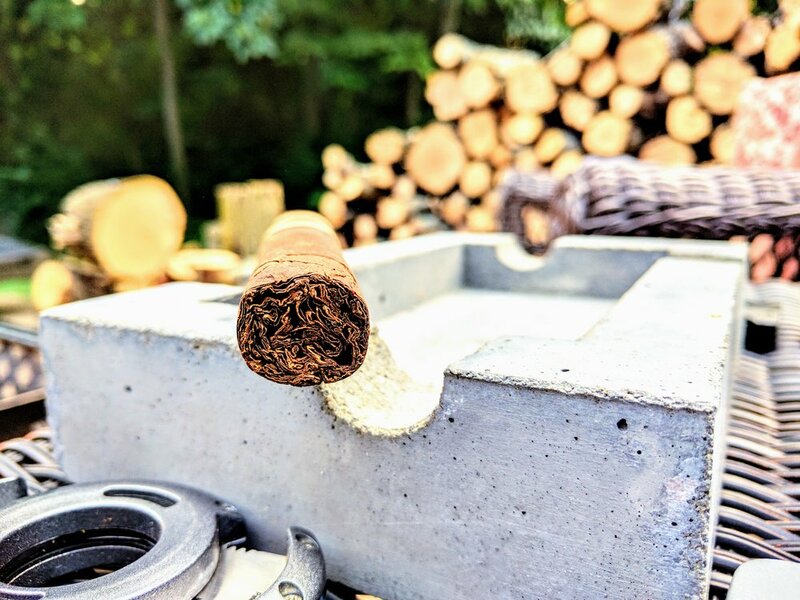 Several large bumps are found during an inspection of the body with would typically be a little concerning, but somehow it's fitting given the rustic nature of this stogie. The cap is very well done with a unnoticeable transition to the body. 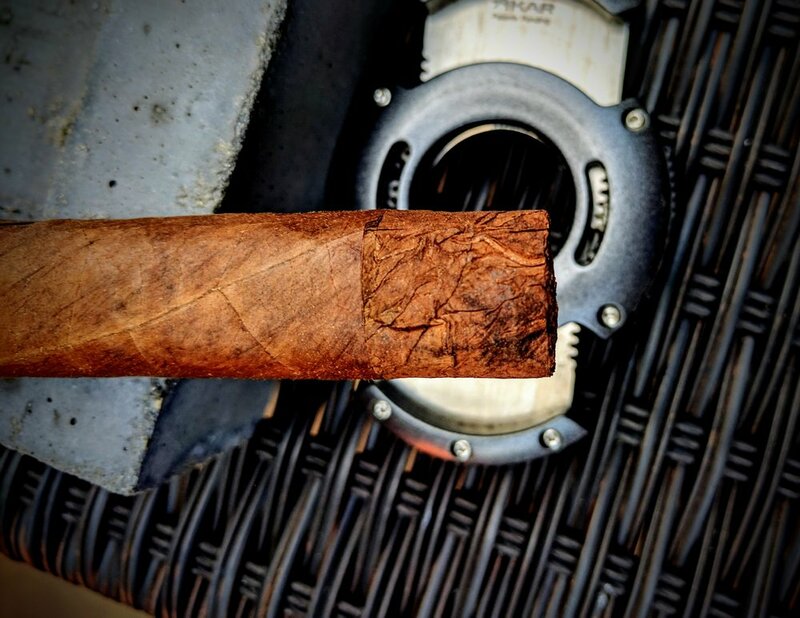 The foot has a unique detail in that the wrapper only extends to roughly an inch above the foot - again, this lends to the cool rustic nature of this cigar. The blend looks semi-loosely packed but nothing to be worried about. The foot of Burnt Ends smells just like a pack of oatmeal cookies. And vanilla. 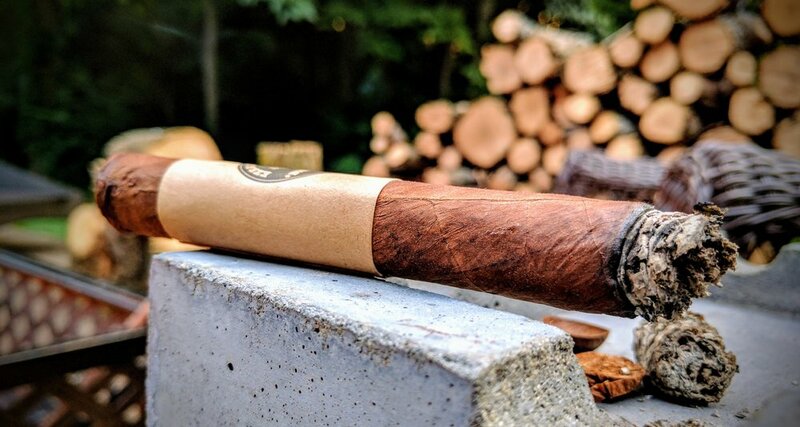 Cold draw offers up classic tobacco, raisin, light cinnamon and some wood. Very nice open draw. As usual, snipped the tip with my Xikar XO and lit the end with a single-torch ST Dupont. The first flavors to come out are sweet and smooth. There's vanilla, light pepper and cedar. The burn is all over the place as the exposed blend burns down. I'm confident once the fire line hits the wrapper, it will begin to even out. Ash is a brown, grey - it's kind of ugly. Plumes of grey-yellow smoke are plentiful on each puff. Even while resting, Burnt Ends continues to churn out tons of smoke. As the sweet notes start to fade, a barbecue beef brisket flavor starts to develop along with some mustard seed, cedar and very light pepper. Despite how dense this sounds - the cigar is very light on the palate so far. The draw remains open and effortless. Prior to hitting the wrapper the burn line is wavy and somewhat entertaining to watch dance down the exposed foot. Once the wrapper ignites, the burn line does even out nicely. At about 1/2" in, the ash drops. Ash is primarily black, brown and grey with no real stacking occurring. Flavors all stick to the savory side of things - light pepper with a hint of spice, grilled/smokey beef with barbecue or A1 sauce. There's a clear char note with some smokey cedar. Everything is deep, savory - very reminiscent of a pepper-crusted steak. The burn line has really leveled off and while slightly crooked is razor sharp. The ash continues to be a marbled mix of white, tan, grey and black. The final third retains the deep, rich barbecue flavors with some tangy caramel notes - if that's a thing. Again, some burnt crust/char is right there. The burn has gotten really rough and difficult to manage. 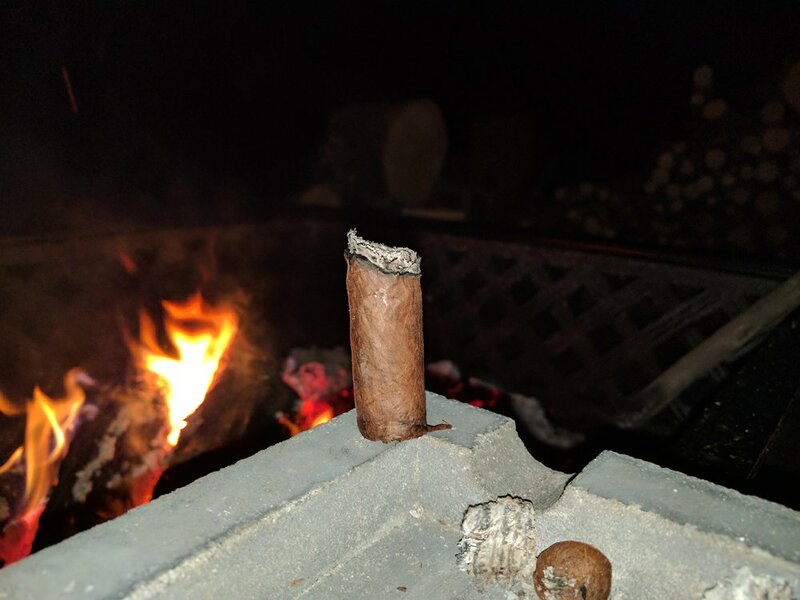 On top of that, the cigar refuses to stay lit. 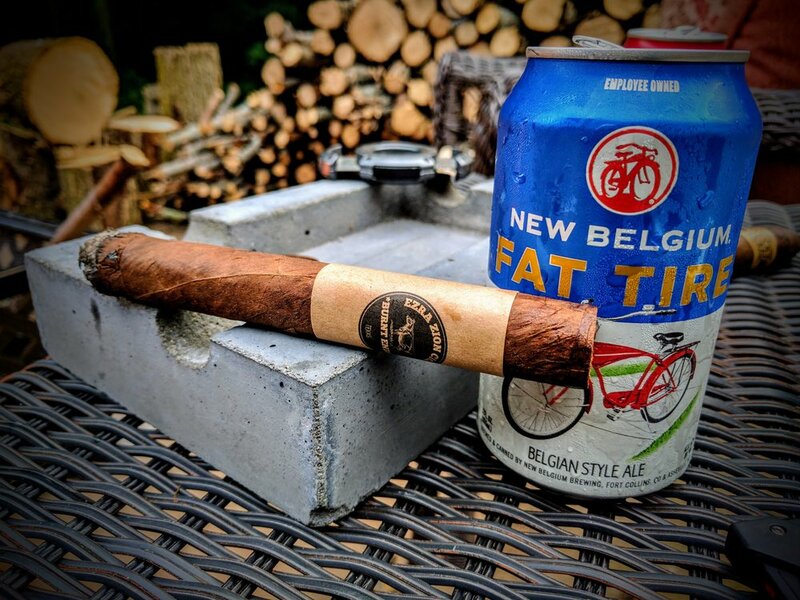 Relights ensue and as the nub approaches the cigar has gotten very hot to smoke. Perhaps the loose draw has allowed too much heat to reach the lips? Either way, it is proving tough to try and nub this thing. dWhile good, I wish the flavors would have varied a little more. 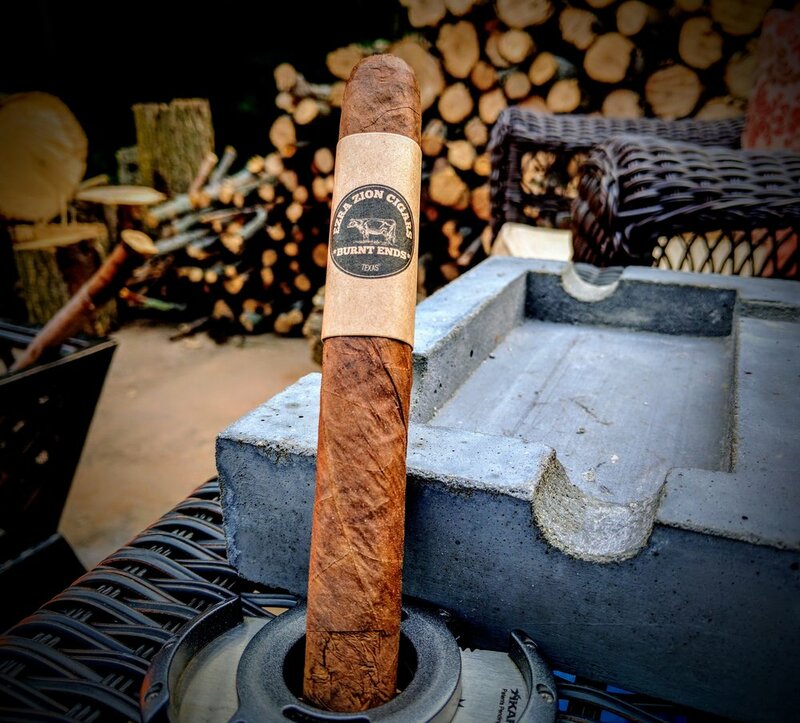 The sweet introduction to the cigar was short-lived and the savory, peppery, barbecue was dominant throughout - which isn't necessarily bad - but just not very complex or diverse. Burnt Ends was a tale of two halves. The first half burned perfectly, but as it progressed towards the second half the burn got very uneven and required touch-ups/relight. 7.6 / 10 hard to argue with bbq. Burnt Ends is a gorgeous cigar to look at. 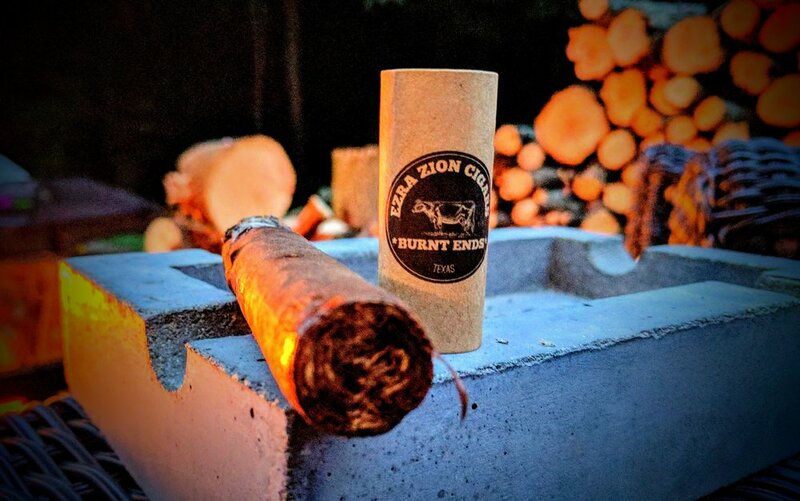 While some of Ezra Zion's names tend to be misaligned to the actual flavor profile, I think Burnt Ends nailed it. 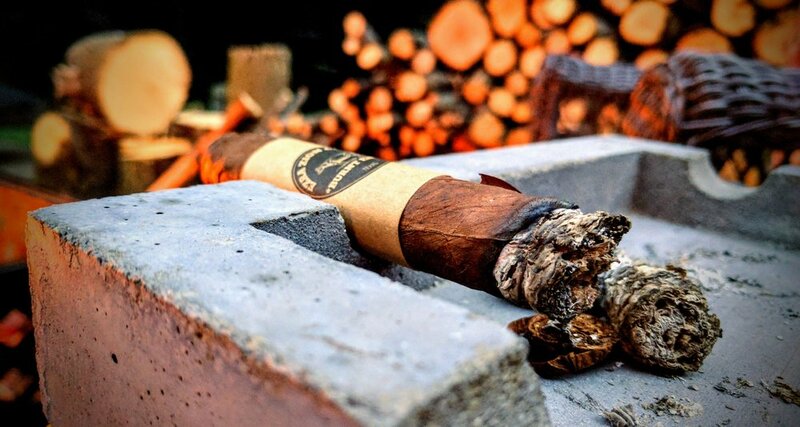 The cigar is immensely flavorful - packing in some great smokey, barbecue, beefy notes with just enough pepper. Where it not for the burn issues at the end, I'd happily have nubbed this stogie! I'll be reaching for one again shortly to see if the last third is a repeat performance - at least I know the front two-thirds are money! 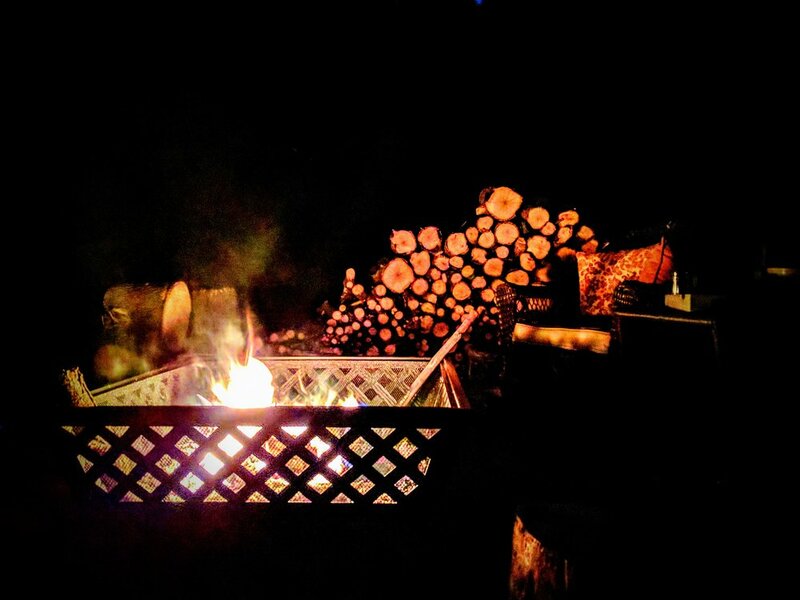 All in all, enjoyable - especially around a fire on the Fourth! 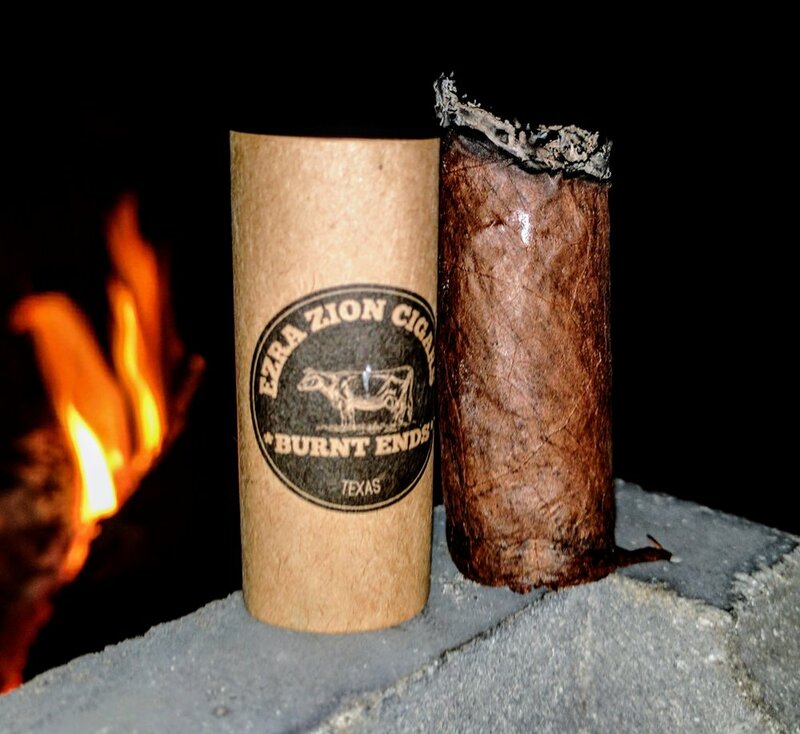 For more of Ezra Zion make sure to check our Ezra Zion Feature page running all July. I started smoking cigars around 2004 and have enjoyed documenting the hobby since! I started reviewing cigars seriously in 2015 and love how rewarding it is to read and learn as much as possible about a stogie as I enjoy it. I've always embraced the cigar community - from my local shops here in Cincinnati to the great online communities like r/cigars on Reddit. I fill my days being an architect and spending time with my wife and two daughters. Every so often you may see my favorite smoking buddy pop up in a picture - my old black lab, Mac. Don't be afraid to drop me a line!